On Wednesday 26th September at the Bournemouth International Centre, there will be Dorset’s first show to help businesses and students connect for the possibility of apprenticeships. The Careers and Apprentices Show will take place between 9.30am and 8pm and are many opportunities for businesses to get involved. Skills are the biggest challenge facing UK businesses and a highly skilled workforce is essential if we going to compete in the future. 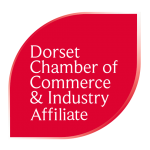 Dorset Chamber is delighted to be working with The Careers and Enterprise Company to help deliver Dorset’s a unique careers event, enabling Dorset employers to reach over an unprecedented 3,300 young people from schools across Dorset through one single careers event. Why should my business attend? Unemployment is at its lowest levels for over 40 years, recruitment is a real challenge for business and this seriously inhibits business growth. Together with an ageing workforce, it’s crucial that businesses invest in their future workforce and market themselves as desirable employers. The size of the UK workforce is shrinking at the same time as vacancies for skills and labour are growing – apprenticeships offer businesses a fantastic way to develop and grow the talent they need for future. This event offers an unparalleled opportunity to meet young people that could be your future stars. Business and education need to work in partnership to ensure young people receive accurate and informative careers advice. You may be an apprentice levy payer and not be making the most of apprenticeships. This event will provide you with direct access to future apprentices for your business – and help you gain the best return on your levy payment. Employing apprentices brings huge benefits – They provide skilled workers for the future, increase employee loyalty and retention and increase a company’s bottom line. It’s proven that employing apprentices will enable you to boost productivity and competitiveness.